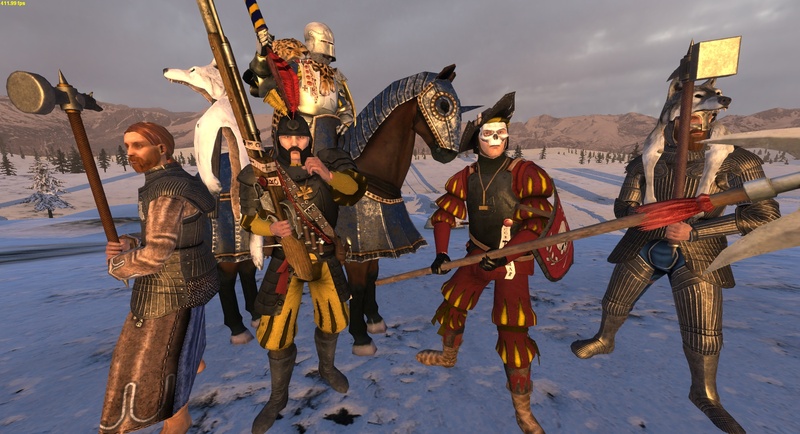 Warsword Conquest is a total conversion of warbands mount and blade 1.153 based on the warhammer fantasy world by Games workshop and is single player only at moment. Nice. How do you obtain them? Just by recruiting in taverns or...? They are in the troop trees. Nice! is that a floating wolfskin on the left or is it attached to a stick which in turn is attached to the guys back? In the pic you can see it if you focus, but the colours mix up a bit making it hard to see ubfortunately. will you guys add nuln repeater riflemen? will we ever get free company militia and flaggellants? Here we go again, as promised, with a batch of fresh new contents. The Empire is a huge and colourful land, a melting pot of different landscapes, cultures and traditions. These sworn loyal imperials join the battlefield to defend their homelands and beliefs under the banner of Emperor Karl Franz. Until next time, stay tuned for more and HAVE FUN! Credits to Kraggrim and to the respective owners/creators of the eventual OSPs materials.